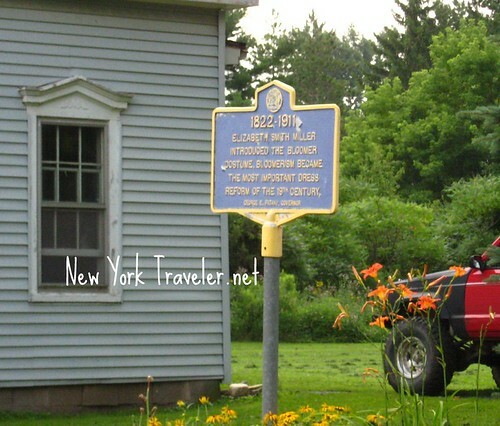 You may not have heard of Gerrit Smith, but in his day he was the man most responsible for the abolition movement in New York State, and that which later affected the nation. 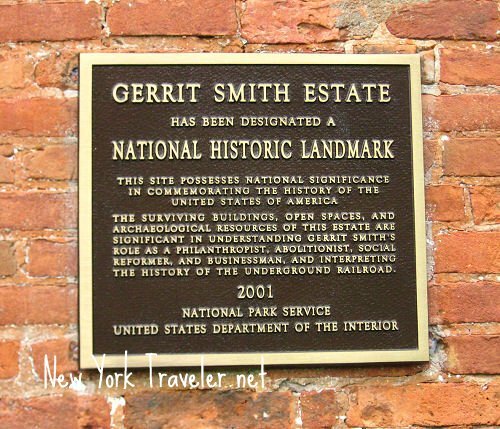 Gerrit Smith was the “Stationmaster” of the Underground Railroad. 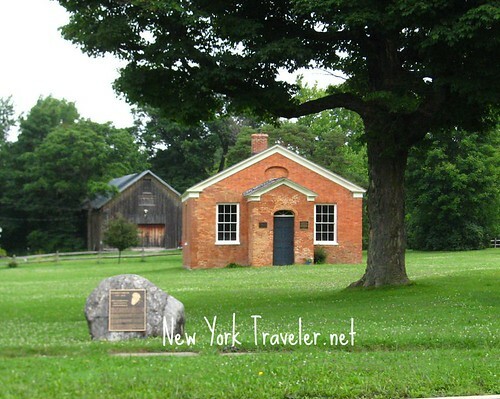 He attended Charles Finney’s revival services in Utica, NY, an area which later became part of the “Burned Over District,” so called because of its religious zeal and revival fervor. These revivals encouraged Christians to become active in America’s social and political arenas. The Whig party in American politics was formed from this religious movement, as was the abolition movement and the suffrage movement. I’m very surprised the Finney revivals are underplayed in American and New York history (actually, they are completely ignored). 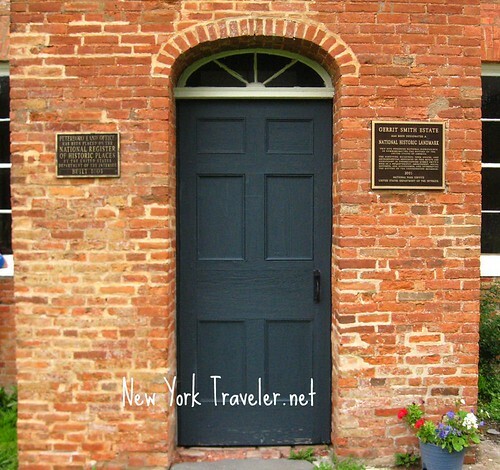 They affected New York State and the nation as much as the American Revolution had. 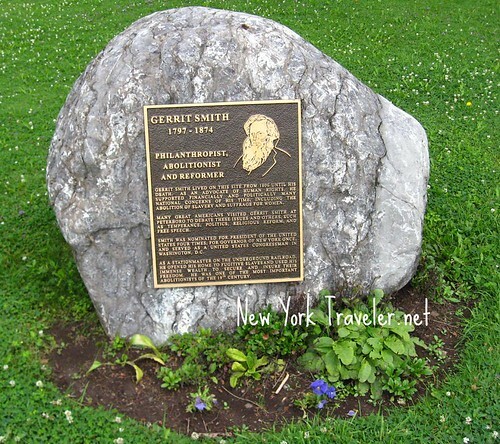 I’ve blogged about Gerrit Smith, as his name has cropped up when we’ve investigated other aspects of NY history. 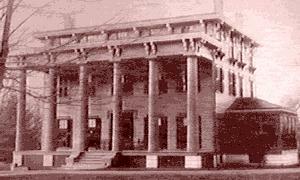 You can read more about him on my post about the Utica Lunatic Asylum and our trip to a conference at the Turning Stone Casino. It was with Gerrit Smith that Harriet Tubman, Frederick Douglass, and the infamous John Brown rubbed elbows, and with whom they found financial resources to steal more slaves to the North. This was once his estate, from 1806 until his death in 1874. The original house burned in a fire, and all that is left is the Land Office he ran. The Land Office is open by appointment. I hadn’t made an appointment, so we couldn’t go in. However, we could see the interior by peering in the windows. Oh how many must have found their freedom, walking over those pavers in that room! Smith was renowned for giving away tracts of his large estate to runaway and freed slaves, so they could support themselves. 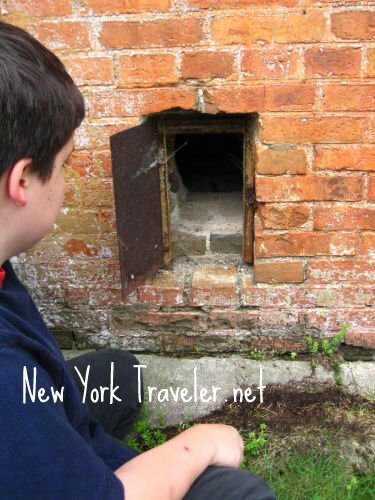 We explored around the building and found what looked to be a smokehouse? It smelled of old smoke. We wandered the village green after that. 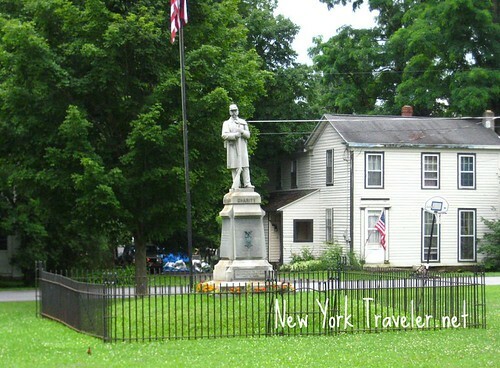 In the center is a large Civil War monument to the Union soldiers who fought to preserve the Union and to liberate slaves. Across the street stands the old Smithfield Community Center which now houses the National Abolition Hall of Fame at abolitionhof.org. Unfortunately, that also was closed. So was the Peterboro Area Museum. Oh well. Finally I saw this little historical marker. Before there was Milan, there was Peterboro! The birthplace of Bloomerism! Yeehaw! 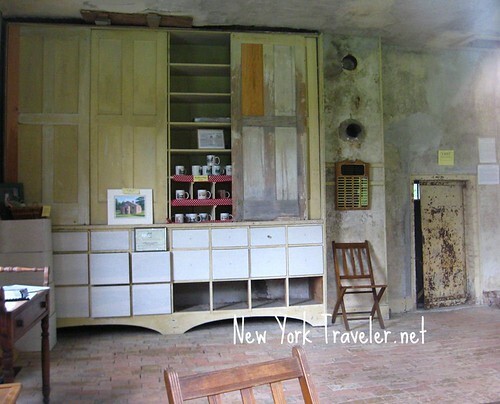 Yes, New York is indeed an interesting place– never know what you’re going to find! I always learn so much from your posts! Very interesting. It looks like you had a beautiful day to wander the estate. it is a nice read, i didn’t know anything about geritt smith until i read this post. Hi Karen and Maggie. Thanks for your gracious comments. I try to keep a historical perspective on all our travels. 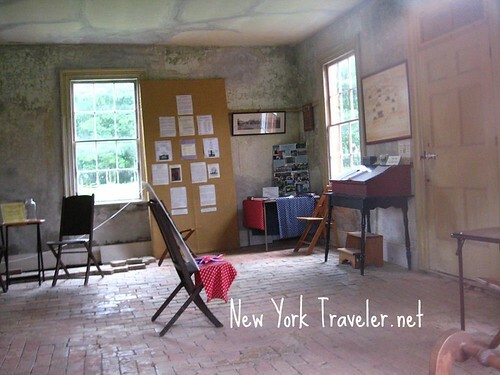 I love history and New York is full of it! It’s also full of taxes, but I try to not think about that too much, lol. I am a professional grantswriter who volunteers with the Peterboro area historical organizations and stumbled onto your site through a Google search — good commentary and fun photos: thanks. If you are a history buff and live anywhere near P’boro, I would be happy to give you a little tour sometime in WARM weather! The Smith family provided three generations of truly remarkable people — I am confident you’d find them interesting enough to share with your readers. We are into a 10-year plan to create Peterboro as a MUCH more user-friendly historic site — working on a National Endowmwnt for the HUmanities grant to this end, as we speak. It is very frustrating to us that people like you come and can’t get farther into this history than a sign or two, especially when the museums are closed. Sooner rather than later, I hope, this will change. I am a volunteer with the Peterboro area historical organizations and stumbled onto your site through a Google search — good commentary and fun photos: thanks. If you are a history buff and live anywhere near P’boro, I encourage you to come back next summer  when we will have new, more detailed signage thanks to a New York State grant initiative to further develop its Underground Rail Road historic trail. The Smith family provided three generations of truly remarkable people in this small hamlet of Peterboro — patriarch Peter Smith, admiring friend of the Iroquois and longtime business partner with Jacob Astor; Peter’s son Gerrit, renowned abolitionist, and Gerrit’s wife Ann Carroll Fitzhugh Smith, [a direct descendant of the great revolutionary thinker George Mason of Virginia]; their children Elizabeth Smith Miller [suffragist who created the “Bloomer” pantaloon for women] and Greene Smith [collected and donated thousands of bird specimens to help establish the ornithological collections at Harvard and Cornell]; and Elizabeth’s son Gerrit Smith Miller [first to bring the Holstein cow to America, revolutionizing milk production– also captain of the first “football”/soccer team in the United States and in the Soccer Hall of Fame]. See what I mean? And there’s a lot MORE…Once you do a bit of Googling on THEM, I am confident you’d find the history of Peterboro interesting enough to warrant a visit. We are working hard to create Peterboro as a more user-friendly historic site, so stay tuned — and check our website for our calendar of special events: http://www.sca-peterboro.org. Your site was just forwarded to me. 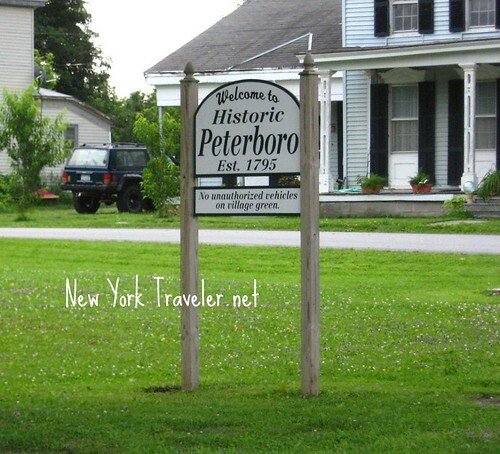 I am the President of the Peterboro Historical Society. I congratulate you on the accuracy of the articles you have written. There is only one small error which I’d like to correct. Gerrit Smith did not have a son named Peter. The Peter referred to in other documents and signs was Gerrit Smith’s father. Peterboro is named after him. Please consider correcting this error if possible. Hi, Kay! I will certainly be looking at the website. I hope to see more displays on the site sometime. 🙂 I would LOVE to see a reenactment! Will there be one in 2011? Beth: Thanks for visiting, and thanks for your comment. Whoops! I’d forgotten that Peter was the father, not the son! Corrected.